TAYLOR ROBERT WINS NATIONAL HARE AND HOUND! 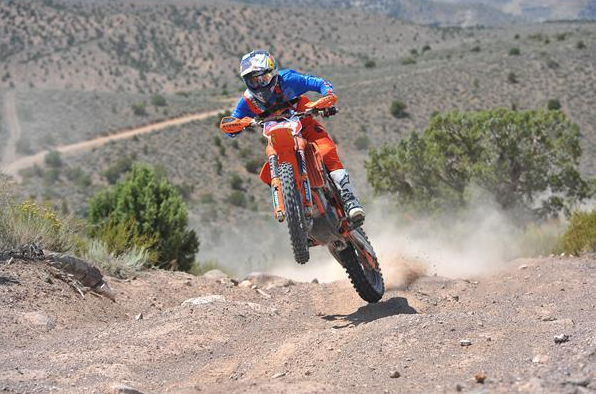 FMF KTM Factory Racing Team’s Taylor Robert extended his win streak to three at Round 7 of the AMA National Hare & Hound Championship held in Panaca, Nevada. Robert: “Axel (Pearson) was keeping me honest today and he rode really well on the first loop. I was able to catch up to him in some of the rockier and less dusty sections and I eventually got around him. After that, I kept pushing and he was always right there. It was a really good race. I honestly thought I would have been able to pull away quicker and he just kept me honest all the way through and we ended up finishing pretty close to each other in the end. I’m happy to get another win and enjoyed racing a good battle today.” Robert now sits 3rd in the overall championship standings, two points behind second, with two rounds remaining in the 2017 season. 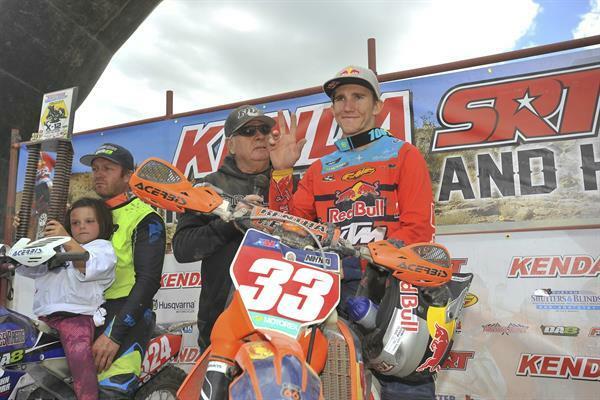 Robert will head to represent Team USA at the International Six Days Enduro (ISDE) in France August 28th – September 2nd. TENNESSEE KNOCK OUT: WEBB VS JARVIS!